Cornucopia, horn of plenty, a symbol of abundance and nourishment and the carrier of something humanity couldn’t do without. It’s not air, or love – it’s food. So crucial and indispensable, connected so many cultures and religious rituals, the main product of consumption and one of the most common topics in history of art. 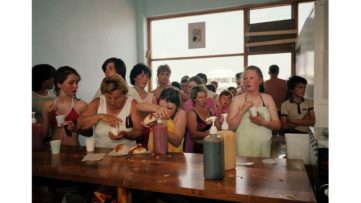 A handful of international and Australian contemporary artists will put their ideas and practices together for an exhibition in celebration of food and its meanings, to be hosted by Shepparton Art Museum in Victoria, their first major show of 2016. That being said, you probably shouldn’t go see it with an empty stomach. 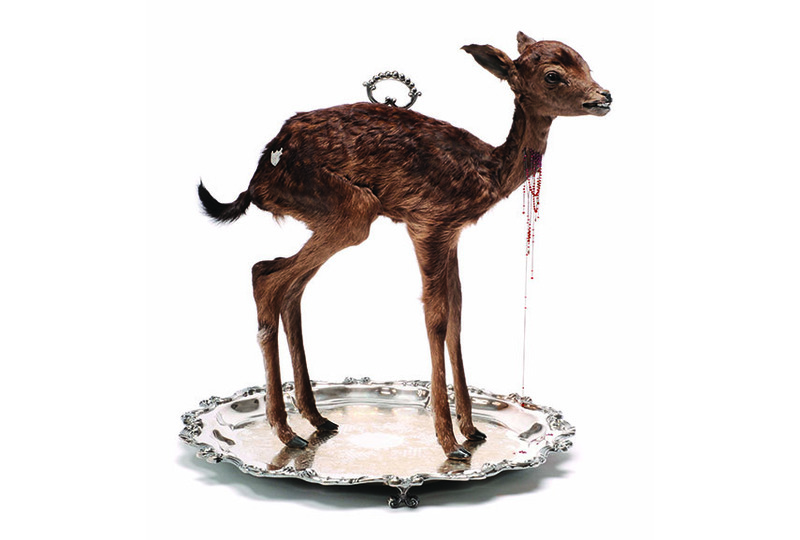 Kawita Vatanajyankur – The Squeezers [still], 2015. Single channel HD video, 2min 35sec. Courtesy of the artist and Stills Gallery, Sydney © the artist. Gathering a number of artistic disciplines and views, the Cornucopia exhibition sets out to explore all aspects related to food and the concepts around its production, consumption and distribution in societies around the world. What is it we eat every day? Where does it come from? How is it made? By who? And not only: there’s also the metaphoric, symbolic and socio-cultural sides of the food industry, which tackles hot discussions like its genetic modification, mass production on a global scale, world famine and sustainability, as well as the lack and the overabundance there of. The roles food plays in our lives are numerous, and it is as if it is embedded in all its spheres. It describes our culture and tradition, and it is an essential element of religious narratives and customs. 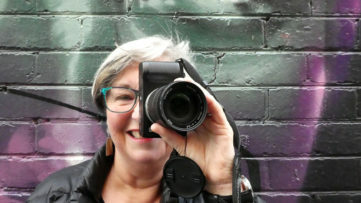 At the Australian Shepparton Art Museum, there will be works by both established and emerging artists who use food and flora as a point of departure, or even as the artistic medium itself. From the scenery of a flooded McDonald’s restaurant, as seen in the video project by the Danish trio SUPERFLEX, to eerie taxidermy works by New Zealand/Aussie artist Julia deVille, colourful food explosions and experiments in the photographs of Kawita Vatanajyankur from Thailand, and natural installations by Lauren Berkowitz. Also participating, there will be artist Gabrielle de Vietri and her A Centre of Everything collaborative project, still life painter Julie Crouan, photographer Mishka Henner, The Hotham Street Ladies, with artworks that range from street art, installations and public art to recipe books and cakes, multimedia artists Georgie Mattingley, Kenny Pittock, and Claire Anna Watson. Also on view, the works of some legendary names, such as Sam Taylor-Johnson, Patricia Piccinini and Andy Warhol. Cornucopia, an exhibition of works by fifteen international artists and collectives, will open on February 27th at the Shepparton Art Museum in Shepparton, VIC, Australia. 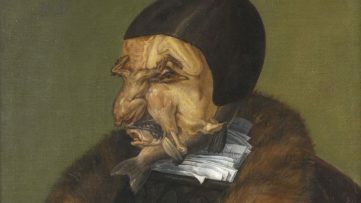 Through both old and new creative ideas, as well as the splendid diversity of the participating artists, it will contribute to the already lavish representations of food within art history, and will deepen the contemplation of its significance and use. The show will stay on view until May 22nd 2016. 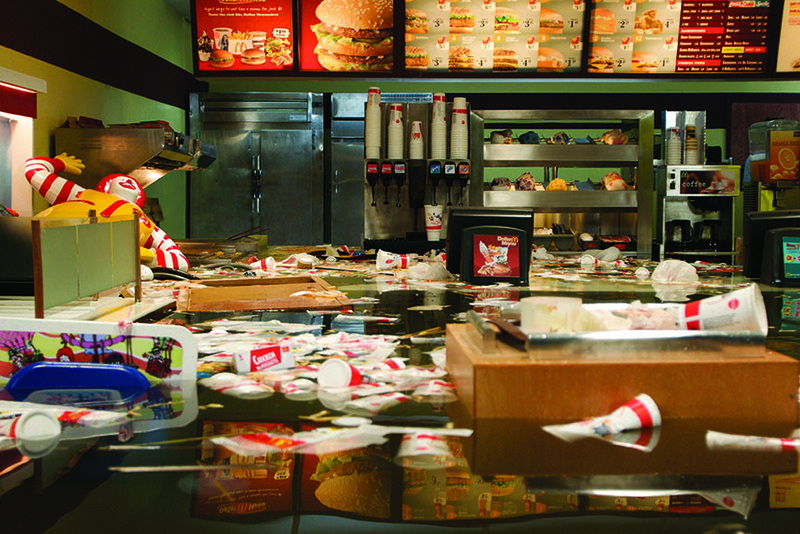 Featured image: SUPERFLEX – Flooded McDonalds (still) 2009. RED video installation: colour, sound, 20 minutes, 16:9, 400 x 700cm (variable). Purchased 2010 with funds from Tim Fairfax, AM, through the Queensland Art Gallery Foundation. © the artist, Collection: Queensland Art Gallery. All images courtesy of Shepparton Art Museum.